Discover How to Gain Traction and Get Your First PAYING Client Online! The world is asking for your unique magic. Is it time to step into your calling? 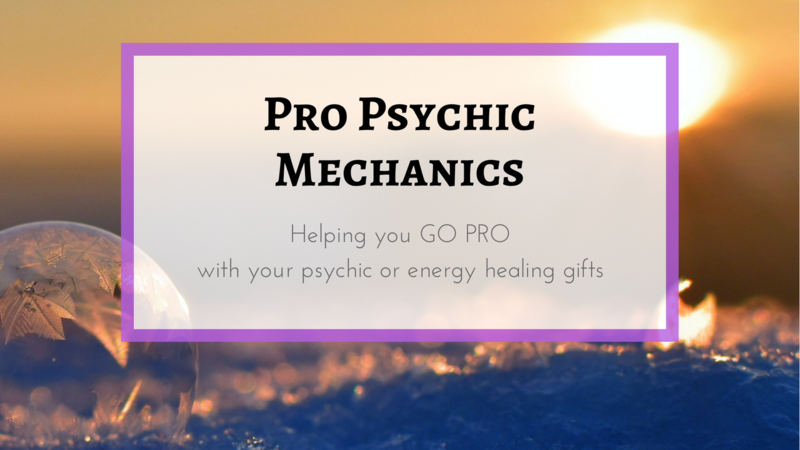 The Pro Psychic Mechanics Online Course is all about helping people (including you) go PRO with their psychic and energy healing gifts. The program includes 13 modules of training. We start with the basics of energetic connection, chakra reading, shamanic journeying, energy clearing and getting messages. Then we get into the nitty gritty of creating contracts with the Big U, the guides and all that jazz. And OF COURSE we talk extensively about how to do actual LIVE psychic readings and energy healings. Plus — super importantly — we focus on making sure you can do the work WITHOUT feeling like throwing up or hiding forever or dying of embarrassment because you maybe got one thing wrong once in your life. I understand this work can be really scary to get started with. It's why I'm here to help! This program helps you go pro with your psychic and shamanic gifts and can be a transformational experience. Here's what a few recent graduates said about how the program changed their lives. I don’t even feel like the same person. I never expected to do this work. I use shamanic practices for healing journeys for people. Not only do I have an unexpected career — I never expected to be doing this, not in a million years — but all of the things that made me uncomfortable spiritually and emotionally, it’s as if with every healing I do on people, I get healed a little bit more. I needed to build my self-confidence and to trust that what I could hear and sense and feel was right and to be able to step out there and start helping people. I needed someone to drag me out of going in circles so I could putting my work out there. My favorite part about [the program] was I took myself out of a place of self-denial. There was a part of me that still viewed what I was doing as possibly not real or invalid or make-believe — or wondered how it could ever go from being a hobby to something that is more than a hobby and creates massive transformation in people’s lives in a positive way. It’s been huge and healing on every level. Beyond learning tons, it was a spiritual process. It created all kinds of beautiful change in my life. It was really powerful. Let me tell you about how the program is structured. Phase 1 covers the basics. We talk about how to talk to your Conduit Guide (and what a conduit guide is). We do a Chakra Tour, where you learn how YOUR body-mind system perceives the chakras. You learn how to get messages from the Spirit Guides. You master the art of the shamanic journey and get to know the three realms. These are the fundamentals. They are absolutely crucial for everything else, so we focus on them first. I’m a big believer in not skipping the most important steps to try to get ahead. We talk about communication and ethics. This includes what NOT to say to your clients. Creating contracts with the Big U and the guides – this is bigger than you think. Most of the annoyances with running an intuitive biz can be avoided by working WITH your guides. And finally, you learn how to have a chat with your Higher Self about – well, everything. Good, bad, ugly. So this phase helps you starting gathering all the pieces of the puzzle. Phase 2 is about getting into the nitty gritty detail. In Phase 2, we extensively cover how to use the technology and other resources you need to be successful. It includes what systems to use, how to set them up, and more! This can be a HUGE sticking place because it's easy to get overwhelmed with all the options. In this Phase, I outline the exact systems I use. I made video tutorials to teach you exactly how to set up these systems so you can hit the ground running and get your spiritual based business up and running in record time. Who wants to be stuck in the mud with technology when you could be doing the work you're here to do? With my help, it won't be a problem for you! Phase 3 is where the rubber meets the road. Phase 3 is all about PRACTICE!! I show you how to actually find folks to read for, do practice healing sessions on, and get helpful feedback. Some recent graduates of this program said it was the most helpful part of the experience for them. The live readings in the program were really the most important for me because it gave me confirmation that I knew what I was doing. When I got the feedback [from doing the readings], I was just blown away that I was as accurate as I was. Phase 4 is where YOU GET YOUR VERY FIRST PAYING CLIENT! WOOHOO!!!!! That's what this is all about, right? Getting real clients and getting your first offer out? In this Phase, you'll distill everything you've learned, find the right price for your services, release old limiting beliefs, craft your very first offer and launch your business into the world. Imagine what it would feel like to put in the work and know that — just a couple months from now — you could have people who pay you to do your life's work. You feel like you're fully honoring and believing in yourself. Take it from a couple graduates of the training. One thing I got — unexpectedly — out of this course was the journey of really honoring and believing wholeheartedly for the first time in myself and my abilities and my work. With each piece, it was like a part of myself that I hadn’t recognized was being seen. Does it sound like an experience you want to have? On top of these four phases of the training, I'm including some super special bonuses to help you with this part of your journey. Reading + Healing Vault that features supplemental training material. It includes various readings and healings I have done that I have permission to share, so you know EXACTLY what professional readings look like. It's an invaluable resource to help you see what really happens behind the scenes in a professional spiritual practice. Website Workshop to show you how to quickly and painlessly set up a website for your offerings — and offer extra help if you need it. I know this part can be a big challenge for people just starting out, so I'm offering extra resources here to help! Monthly LIVE Support Calls to answer your specific questions and support you on your journey! Exclusive FB Group to build community with like-minded healers and find people who see you as you do this work. Here’s the module by module breakdown. Module 8 — Setting Up Systems! Techy Time! This program is designed to prepare you to use your psychic and shamanic gifts to help people (and earn a living in the process). People from a number of different backgrounds and places in life have taken this course and come away from it with a new purpose, direction, and career. I was a social worker before so clearly I care about social justice and the well-being of others. I know get to carry that on as a professional intuitive because we’re here to save the world. I love thinking about that everyday. I had the reflection right back at me about what I was experiencing and how true it was. That was so powerful. You can take your first steps to going pro with your psychic or shamanic gifts today. ... here’s what a few graduates had to say about taking their first steps to join the program so they could practice their intuitive gifts professionally. That never really occurred to me. But after Erin-Ashley and I had that [discovery] phone call, and especially when Erin-Ashley mentioned she would be doing the shamanic piece, it just clicked for me. And after that, it was just clear that it was what I needed to do. It was clearly the direction that the energy wanted to go for me. I would recommend that you talk with Erin-Ashley [on a discovery call] because you can feel the resonance. Just having that conversation will help to illuminate for yourself whether it feels right. That alone I would highly, highly recommend. Listen to that little voice — and continue listening to that little voice. Eventually what happens is that when you say yes to that little voice and take the course, you learn to really trust that little voice and that little voice takes you amazing places in your life that you never thought in your entire life that you would never be. It’s the most beautiful blessing that just keeps growing exponentially. I had all this stupid stuff going on [in my head]. Your heart is always going to tell you if it’s right for you right now. If you just tune in and focus right here on your heart, it’s going to tell you if you should do it. I felt so stuck and this program brought me forward to a place where I feel confident and love where I am right now. I believe that a lot of people would benefit from this program and having Erin-Ashley as a mentor. There was no rational reason for me joining because I had no intention of being a psychic. I got this urge to take the course but it didn’t make any sense with what I wanted to do. Erin-Ashley got on the phone with me [on a discovery call]. Just listen to your heart. You will know whether it is for you or not. My entire spirit and entire body were saying, “YES!” It was just totally clear to me. 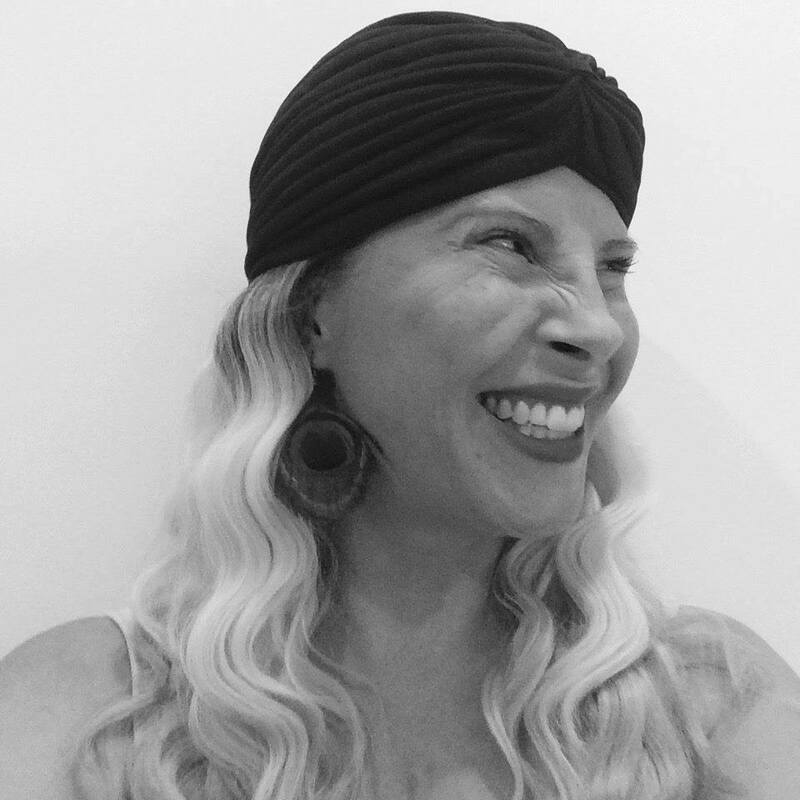 [And in the program,] when we did the shamanic healing, I walked into the healing room and my guides — who, by the way, I didn’t really believe in — were celebrating and telling me that I had come home and that this was what I was supposed to be doing. 12 modules of training to help you GO PRO with your psychic or energy healing gifts, including access to the reading and healing vault and the website workshop.